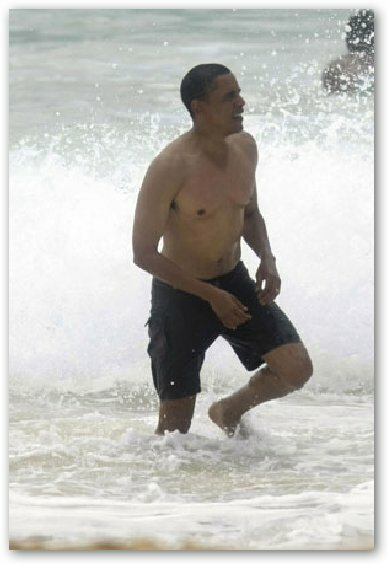 Barack Obama was photographed shirtless while vacationing in Hawaii with his family. The 47-year-old president-elect who has tightly controlled press photographs of his family was caught on camera by a paparazzo who simply set up on a beach in Kailua and the photos in full view of Secret Service. The Obamas are spending Christmas in Hawaii. 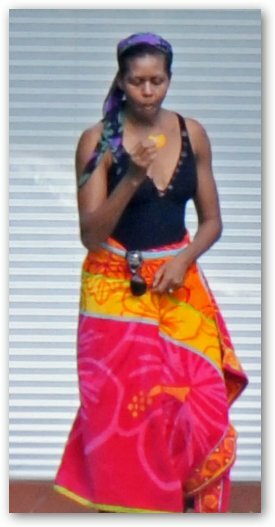 Michelle Obama, on the other hand, wore a modest black one-piece bathing suit while younger daughter Sasha went with a blue bikini. The paparazzo who took the photos of Obama shirtless is said to be a freelance contractor for Bauer-Griffin, a paparazzi agency in California, and lives near the Obama vacation estate.